I’ve been wearing this nail polish pretty much every day since I’ve bought it at the airport, which is about two weeks ago. It’s no secret to you guys that I’m a bit obsessed with the color burgundy, but can you blame me? Obviously it’s an amazing color that suits pretty much everyone, and it’s the a/w trend color of this year. Done deal. 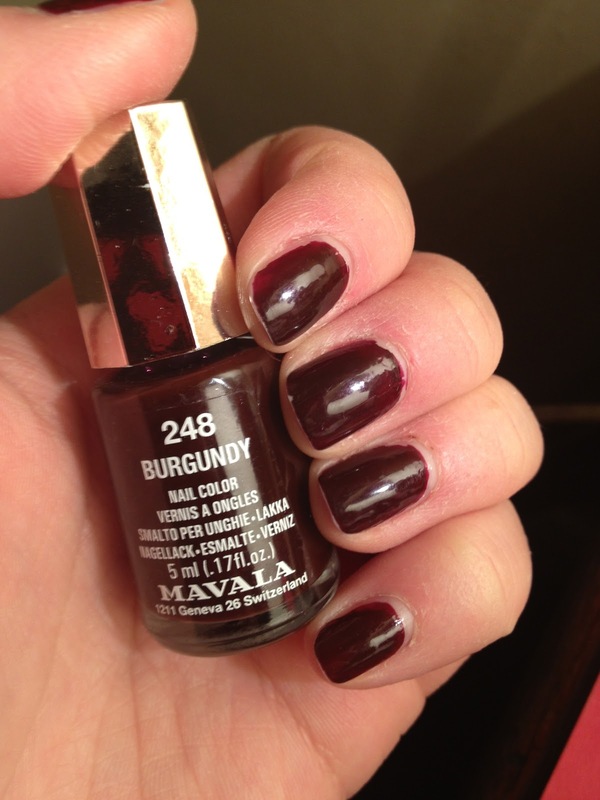 I’ve been on the hunt for a good burgundy nail polish, and this is the only one that I’ve found that really suits my demands. It’s wine-red, almost even brown, but just the right balance. Can’t describe it better – sorry guys. It didn’t chip till at least the 5th day, and that is really impressive to me. I don’t use any fancy top coat, which I should really change – I know, and it still survived my week of washing the dishes, my hair, and other daily activities that might risk a chip in my polish. This little gem was a definite steal at the airport, I believe I pad €3.90 for it. But I’m pretty sure that it retails at Douglas (in the Netherlands) for €5, and if you have the Douglas card, you even get 10% off! For my international readers, I don’t know any online retailer that I’ve shopped from before, but feel unique does sell their nail colors, but only in sets of 3 or per collection.